When I was a little girl growing up in Mexico, I vaguely remember when I found out that my abuelita was diagnosed with diabetes. I really didn’t understand what that meant at that time, but I knew that it was serious and that it was something that she and my other family members were very worried about. As I grew a little bit older, I began to understand a little bit more, because my abuelita wasn’t always able to eat the same things as the rest of us (at least she wasn’t supposed to). One thing about her is that she always loved to cook. Not only that, but she loved to cook sweet desserts and some not-so-healthy foods. It was always delicious, but I remember that my parents and my aunts and uncles would always get after her for not taking care of herself like she could. A few years later, I remember a couple of times that she had to be taken to the hospital in a hurry because her blood sugar had spiked and she was unable to walk and had a high fever. This happened on a few occasions, and each time she said that she was going to stick to her diet and that she would do better – and it is true, she really did try hard, but since she was the one that was cooking for everyone, it was really hard for her to stick to a different diet. Fast forward a few years later. My husband and I got married and about 8 months later I was able to come to the United States. A few months later we had our first little boy and we were just learning how to be parents. I missed my abuelita so much because she practically raised me and I hadn’t been able to see her for a long time. My husband and I were hoping to take a trip down to see her so that she could meet our son, but one day before we could plan our trip I got a message that my abuelita had fallen into a coma as a result of her diabetes. When they first told me, I thought that she would be able to recover like she always had. So when I got a phone call from my dad a few days later telling me that she had passed away I was beside myself with grief. I couldn’t understand why she had been taken away from us. To make matters worse, our son was only a few months old and we had not gotten him a passport yet. We went to the post office to try to get one in time, but they told us that it would be impossible. To this day I still haven’t been able to deal completely with my abuelita’s death because I wasn’t able to go to her funeral. This is a lady that I saw almost every day for the first 15 or 16 years of my life, and it hurt me so bad to not be able to see her one more time. Since then, I have often thought if there was something more that I could have done to help her when I was growing up. Like I said, at that age I really didn’t understand diabetes or what could be done to manage it. However, now that I am an adult, I really want to help raise awareness about this terrible disease and especially about its prevalence in the latino community. The great thing is that there are many great products that can help manage diabetes – there are also a lot of recipes that are delicious, and diabetes-friendly. 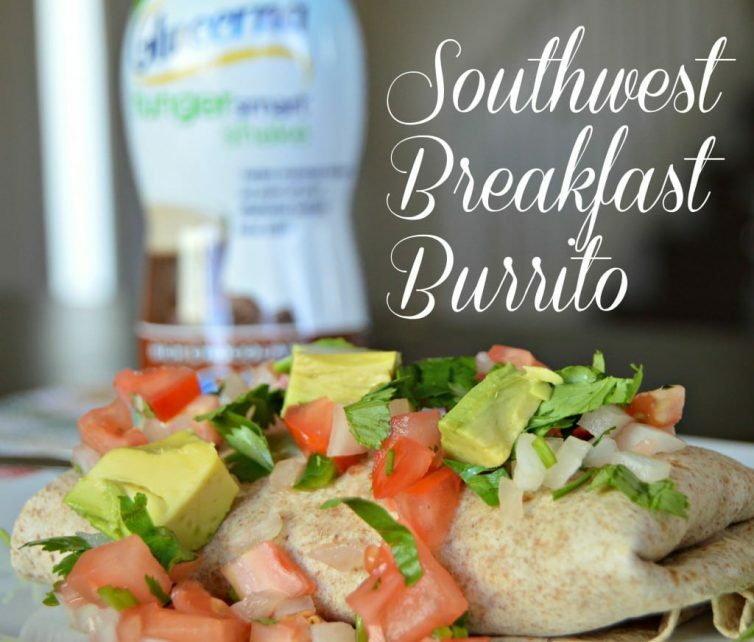 Today I want to share a really simple recipe that is great for people suffering from diabetes – a Southwest Breakfast Burrito. 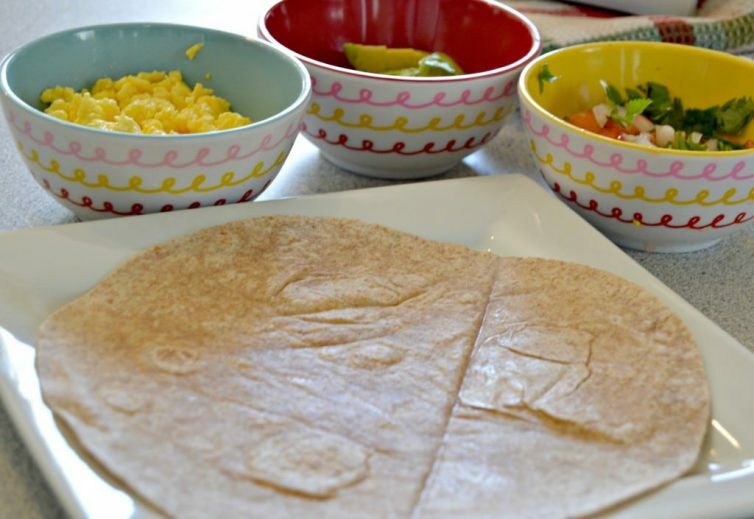 To prepare the burrito, heat the olive oil in a small skillet and scramble the egg substitute. 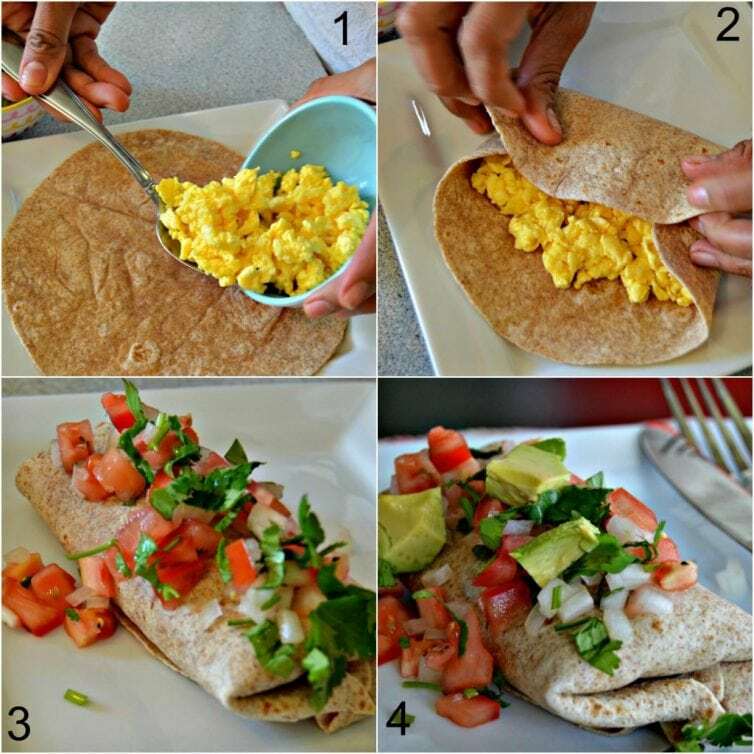 Next, spoon the scrambled egg substitute onto the tortilla and fold. Finish it off by topping with the homemade salsa and avocado. This burrito is great by itself, but it also goes great with a delicious shake. Because this recipe is meant to be good for diabetics, I recommend pairing it with Glucerna Hunger Smart Shakes. 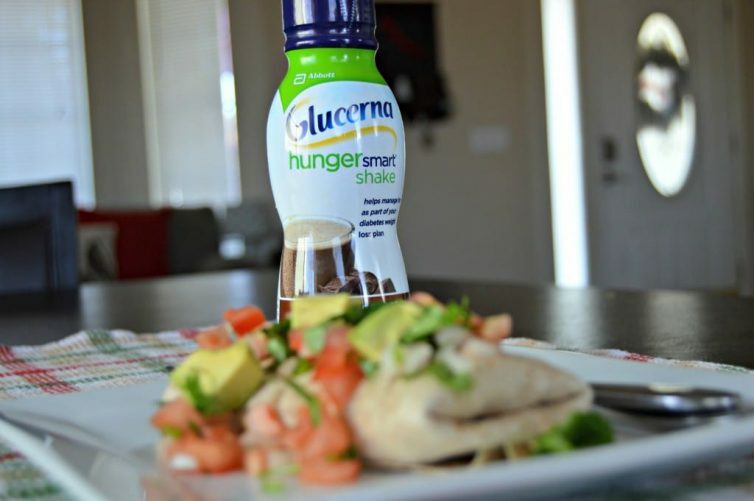 Each Glucerna Hunger Smart Shake has 15 grams of protein to help manage hunger, and CARBSTEADY®, which includes slowly digestible carbohydrates designed to help minimize blood sugar spikes. 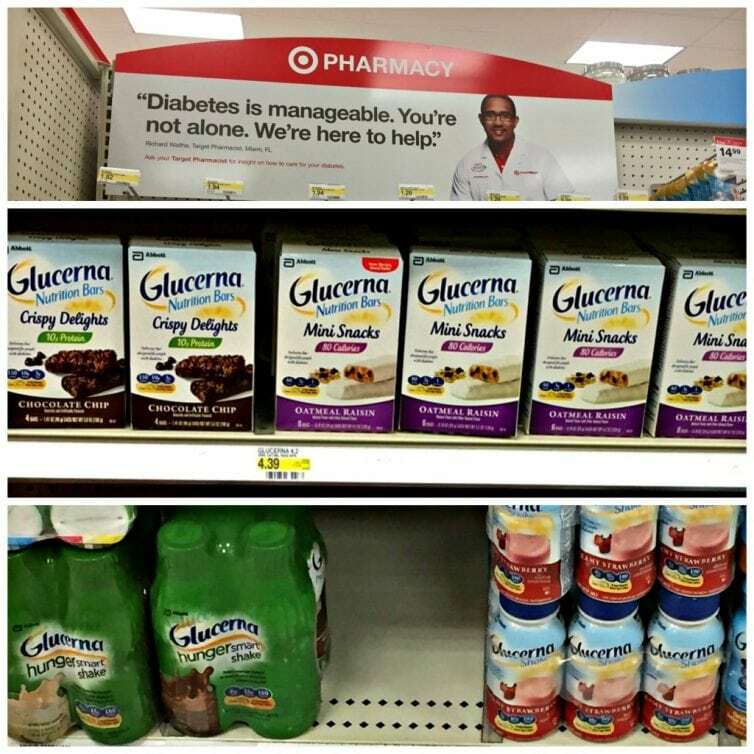 Glucerna has so many great produts for diabetics. Besides the Glucerna Hunger Smart Shakes they also make some great snacks like these Glucerna Mini Snack Nutrition Bars. 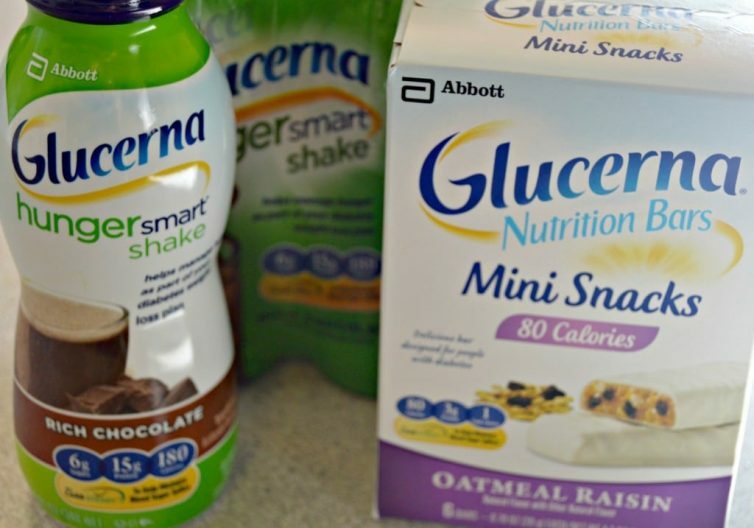 You can find them at Target and from now through January 30th, there is a Cartwheel deal for 10% of Glucerna products – so make sure to go and get them fast! I truly hope that this post helps in some way to bring awareness to this disease that has affected so many people’s lives. How has diabetes affected your life or the life of those around you? Let me know in the comments section below.